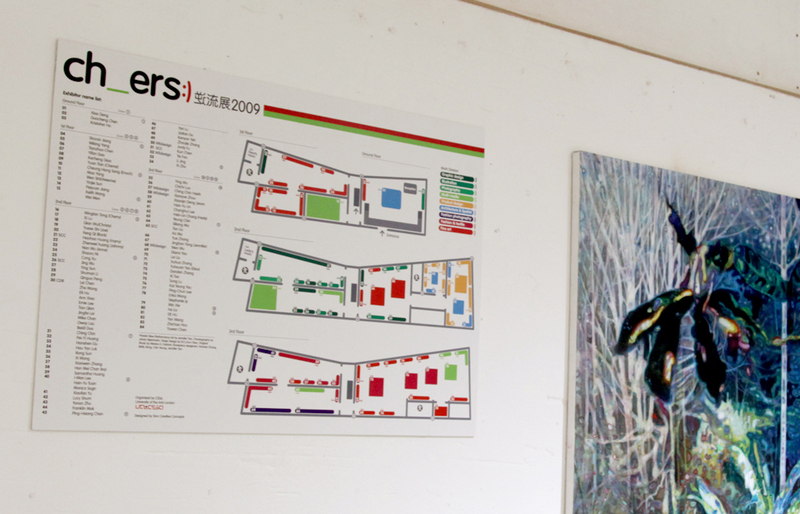 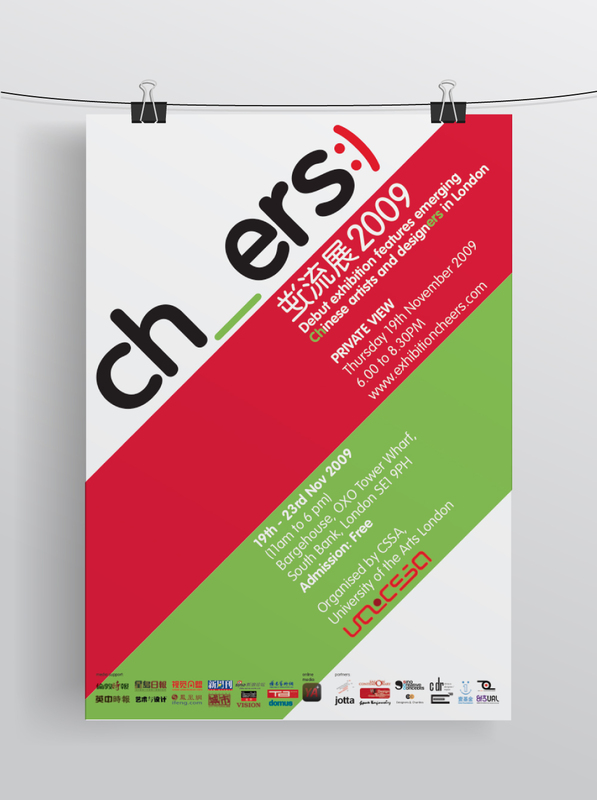 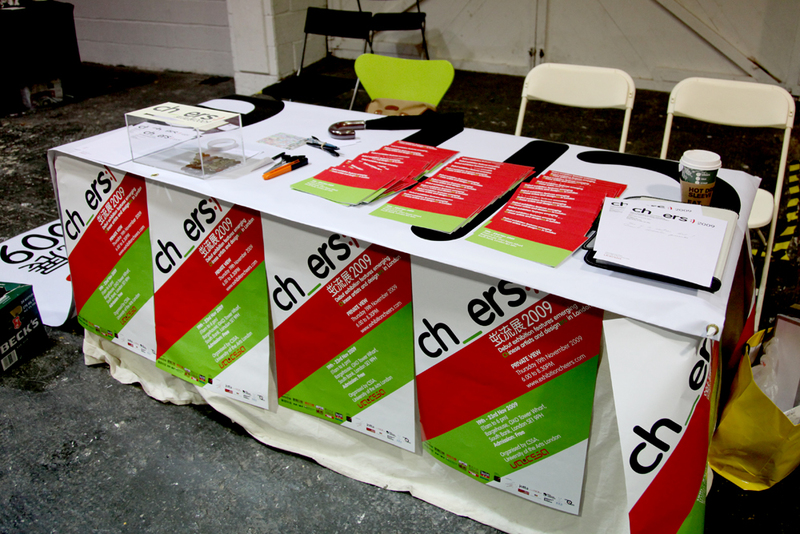 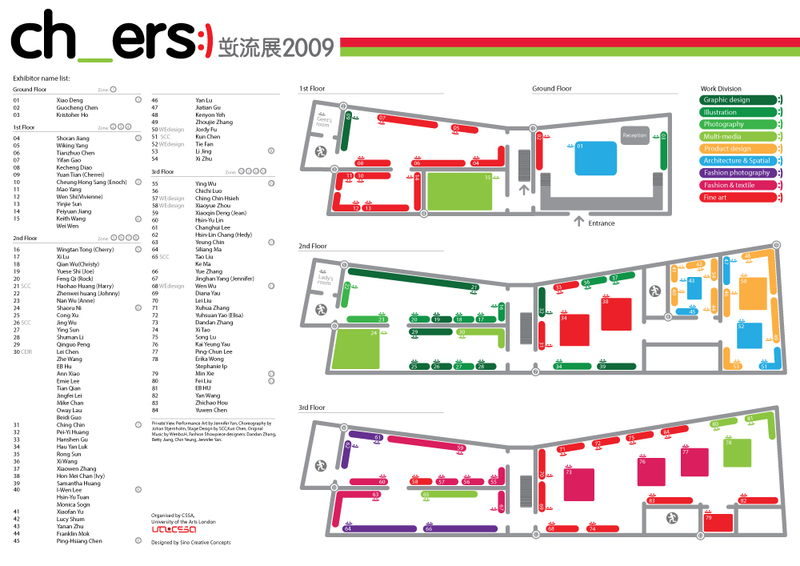 Haohao were asked to create a visual identity for the first cheers:) art and design exhibition in London, 2009. 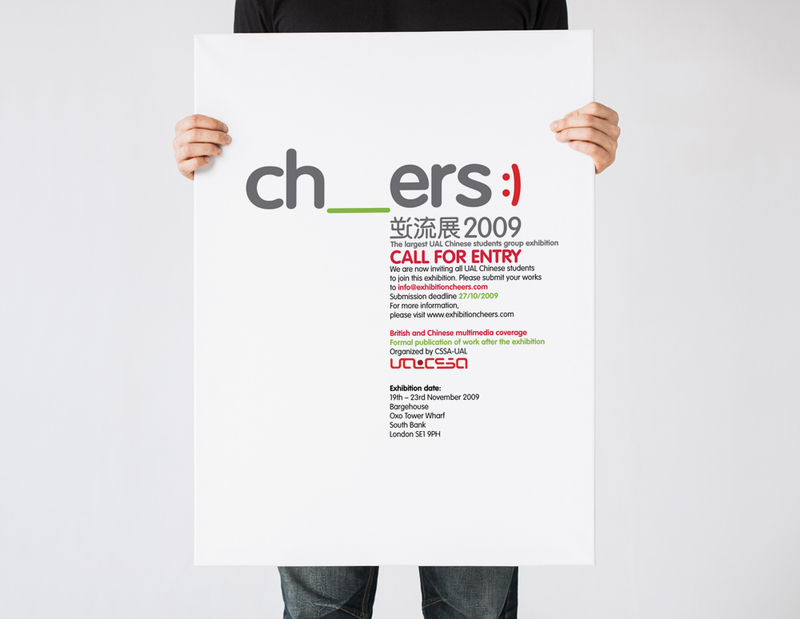 The purpose of this exhibition was simple, many emerging young chinese artists and designers wanted to rise their voice, showing off their creativity and express themselves. 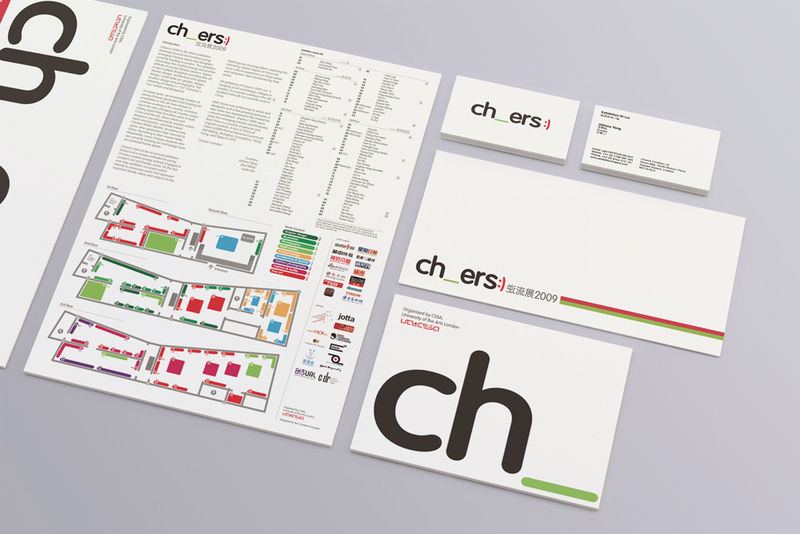 The logo was designed to signify two major identities: Chinese, Designers and artists, that leaded to the idea of splitting 'cheers' into "Ch" stands for Chinese, "ers" stands for people with creativity, such as designers and artists. 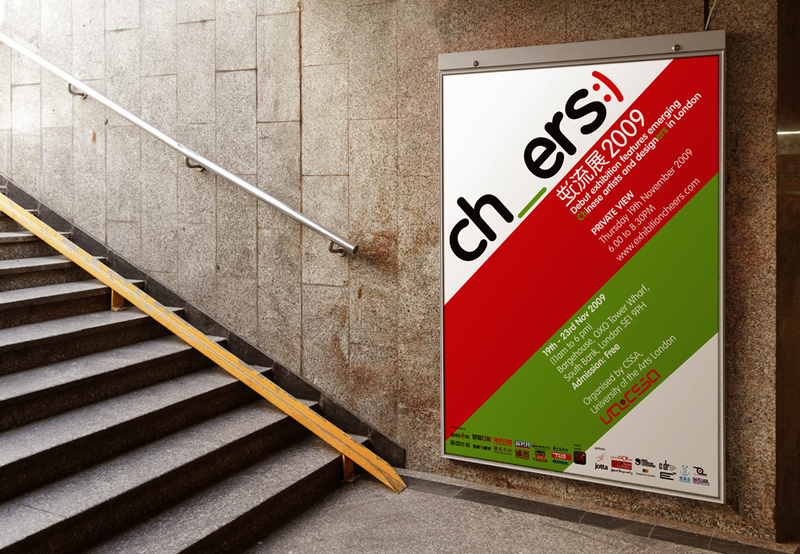 underscore is always interesting symbol to Haohao, that to him, stands for unfinished, and infinity.